Don’t know what to get for the booklover in your life? We’ve got you covered. 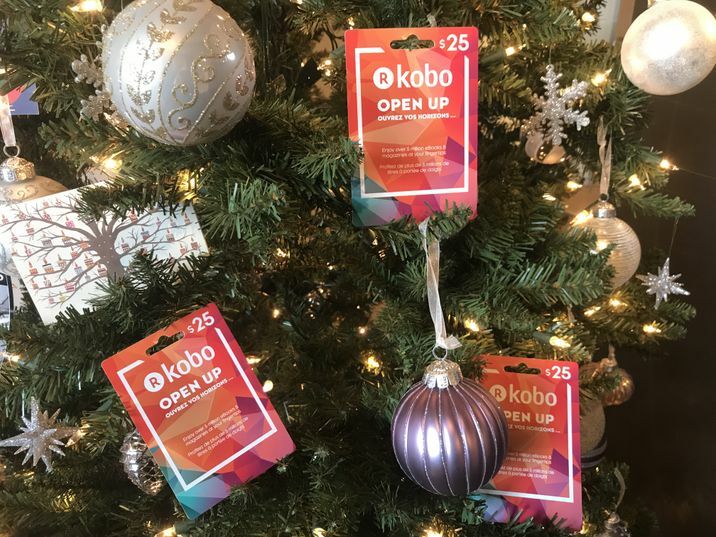 Kobo Gift Cards are convenient, flexible, and offer the gift of choice—of more than 5 million eBooks and thousands of audiobooks. Kobo Gift Cards can be found at major bookstores and retailers all over the globe; meanwhile, eGift cards are available at kobo.com and can be delivered virtually, so you can forget all the fuss of going to the post office or not having your gift delivered on time. Also, Kobo sells eBooks in over 190 countries around the world, so you can send the gift of reading to anyone, anywhere. Gifting an eBook is like giving someone a passport, allowing them to travel places they’ve never been before. Books can be a very personal gift and sometimes it’s hard to pick just the right one, but an e-Gift Card allows your loved one to choose exactly what they want to read or listen to. Learn more about gift cards here. If you have questions about your Kobo eGift Card, you can contact our Customer Care team by sending us a private message on Kobo's Facebook page. Note: Please keep in mind that Kobo Gift Cards cannot be applied to purchase Kobo eReaders, accessories, or eBook pre-orders.